BRAND NEW DETACHED 4 STORY ECO-FRIENDLY HOME, ON SALE NOW!! MODERN LIVING ARRANGEMENT LUXURIOUS PRIVATE GATED COMMUNITY. 2 CAR ATTACHED GARAGE OF YOUR OWN. PRIVATE ROOFTOP TERRACE FOR YOUR FRIENDS AND FAMILY TO BBQ THE ENJOY THE LA DOWNTOWN SKYLINE. FEW BLOCKS AWAY FROM LARCHMONT VILLAGE. QUICK AND EASY DRIVE TO GROVE SHOPPING CENTER. THIS IS THE NEW HIP RESIDENTIAL HOMES ARE!! YOU HAVE TO BE HERE TO BELIEVE THIS EXIST ONLY HERE!! WALKING DISTANCE TO HANCOCK PARK, SOME OF THE HOTTEST EATERY AND SHOPS AROUND, & ALSO MARKET. 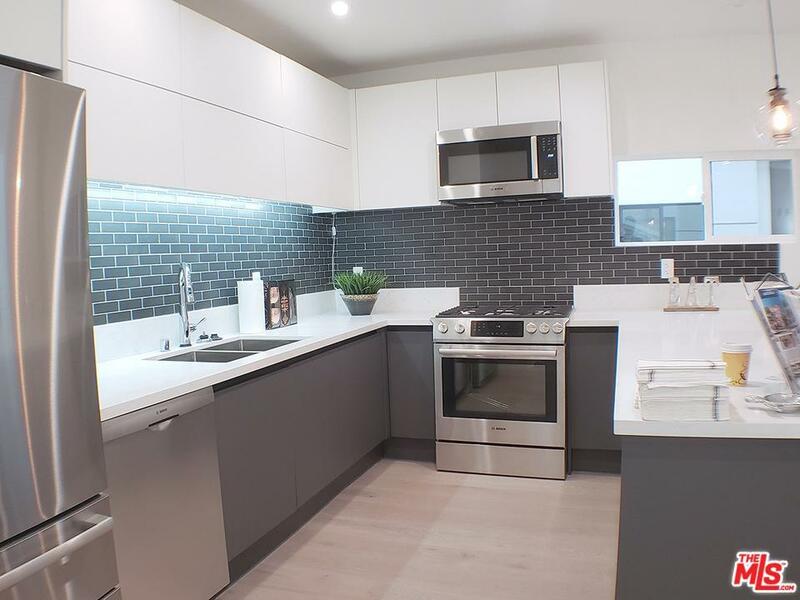 CENTRALLY LOCATED FROM WESTSIDE, DOWNTOWN LA, HOLLYWOOD, & METRO PURPLE-LINE. BEAUTIFUL INTERIOR FEATURED ARE NOTHING BUT THE ORDINARY, MOST POPULAR WIDE PLANK HARDWOOD FLOORS, EVERYWHERE LARGE FRAMED WINDOWS, RECESSED LIGHT THROUGHOUT. EACH FIXTURE, HANDLES, LIGHTINGS, BATHROOMS ARE SPECIFICALLY TAILORED TO MODERN LIFE OF MOST SUCCESSFUL COUPLES AND FAMILIES. DON'T FORGET THE ALL NEW BOSCH STAINLESS APPLIANCES & SAMSUNG WASHER/DRYER. BUYER'S INCENTIVE AVAILABLE.